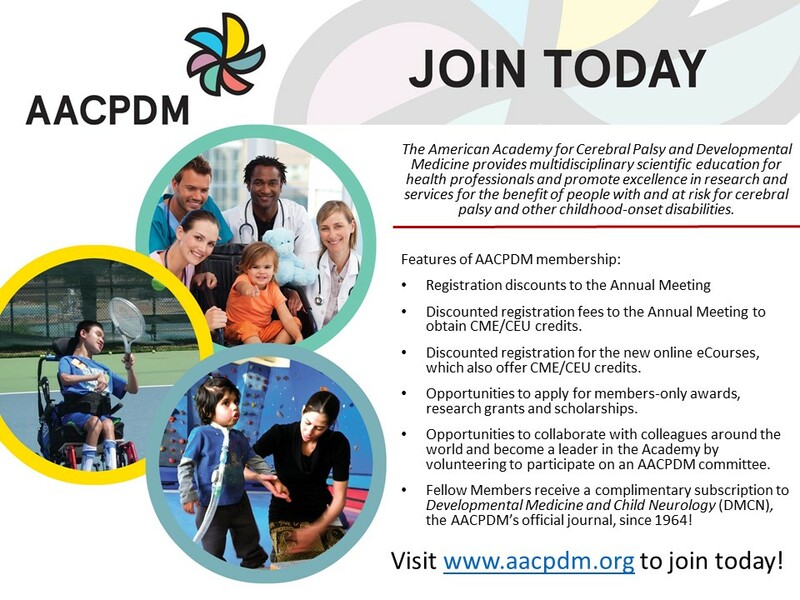 The Academy membership is comprised of over 1,000 medical professionals working together in treating patients with cerebral palsy and other childhood onset disabilities by disseminating education and research. Feel free to download this MS PowerPoint slide and include it in future presentations for when you tell others about this academy. Encourage colleagues and friends to get involved and join!